A recent pop-up exhibition in The Electrician’s Shop Gallery, Trinity Buoy Wharf; Polyphony demonstrated the transient, collaborative approach to exhibition making graduates are currently employing in London. In music, polyphony is a texture of multiple independent voices that combine together to make one melody, but in this exhibition, the seven artists carried their individual voices beyond their score of existing disciplines, creating a dynamic dialogue through their works. 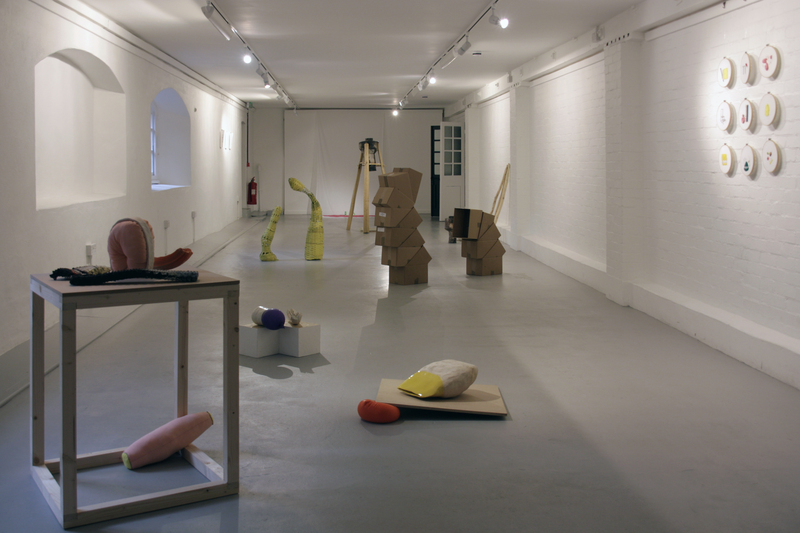 The exhibition attempted to explore relationships between the physical and the momentary through varied perceptions of the everyday communicated by sculpture, ceramics, film, performance and textile/fashion installation. The curatorial approach was successful through a relationship by artists and co-curators Hannah Rose Whittle and Fionn Duffy. The exhibition also included works by Alice Foxen, Lottie Hellyer, Jack Kindred-Boothby, Sulaiman Majali and Ed Sanders. 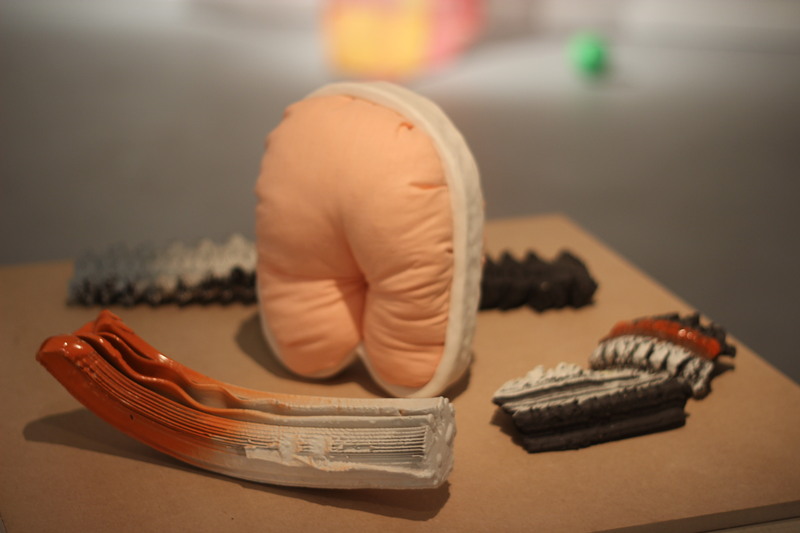 The recent Brighton and Falmouth graduates combined past disciplines of Fine Art Sculpture and 3D Materials Practice to make an exhibition of intertwined relationships such as ceramics into film and textiles into installation that resonated within the space. Located in Dockland’s art quarter at Trinity Buoy Wharf, the basement exhibition space was cleverly divided between two spaces labeled ‘dark space’ and ‘light space’ where artworks found their natural environments between dark brick and wooden beams, and adjoining spot-lit space. These dividing elements also lent themselves to the public events that the co-curators devised to become momentary artworks themselves rather than being add-ons. A film screening with live musical score by Ed Sanders and Mike Davies, drew further visitors on the Saturday night. Notable highlights of the exhibition for me were Alice Foxen’s curious assortment of colorfully glazed, rough, ridged, ceramic pieces, presented amongst angular wooden structures and stuffed sculptures. In an additional room, co-curator Hannah Rose Whittle presented a film of a performance using water and unfired clay. Water vessels from the film lay on a table with a basin of water in front of the screen as if an invitation to participate in the ritual. The exhibition’s short life of just three days was echoed in transient materiality and remnants of live-moment performances. ‘Pop-up’ exhibitions by graduates, emerging artists and arts platforms have become a more frequent London trend. Although graduate exhibitions are nothing new, these brief shows illustrate the many ways in which creatives are overcoming the ever-increasing demand for space in London through the use of unusual and inventive spaces. In the case of Polyphony, the length of the show did not affect attendance, rather it increased it with the excitement of the ‘here one minute and gone the next’ expiry of its existence. The combined practices of the emerging artists all shared a combined essence of temporality, the act of making and performance within an exhibition that did not hide its seams but laid out its musical score along with the fruitful outcomes of collaboration and dialogue between practices. 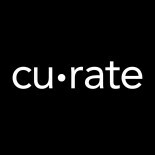 This entry was posted on April 18, 2014 by curate2014 and tagged art, ceramics, exhibition, graduate, installation, London, pop up, trinity buoy wharf.